London Travel GuideDiscover the hidden joys of London Paddington. Discover the hidden joys of London Paddington. London Paddington is one of the most prime areas of the city. From iconic attractions, to fancy restaurants, bars and pubs, this area has a lot to offer to all kinds of travelers and visitors. The Paddington tube and train station is one of the busiest and oldest in the capital. The ever buzzing station is served by the Bakerloo, Metropolitan, Circle, District, Hammersmith & city lines. Plus, here you can find Heathrow Connect and Heathrow Express for easy and quick commute to Heathrow airport. Paddington Station is in Zone 1 and its central location connects the capital to stations across South-West England, the Thames Valley and South Wales. Opened in 1838, the station has a rich history and benefits from facilities designed by world-famous engineer Isambard Kingdom Brunel. The Underground station was opened at Paddington in 1863 and added to its role as one of London’s key transport hubs. There are a total of 14 platforms at the station now and direct trains offered to many of the UK major cities, including Reading, Newbury, Cardiff, Bath, Swindon, Chippenham, Bristol and Exeter. The Paddington station is open 24 hours and 7 days a week. Paddington is of course linked with the famous bear from Peru and just outside the station is the chance to have a photo taken with the popular children’s character. Made of bronze, the statue of the Paddington Bear is a landmark as well as a great photo clicking place. If you are a real fan, there is also a shop near to the station that sells just about everything Paddington you can think of, including fridge magnets, books, clothing and stationery. 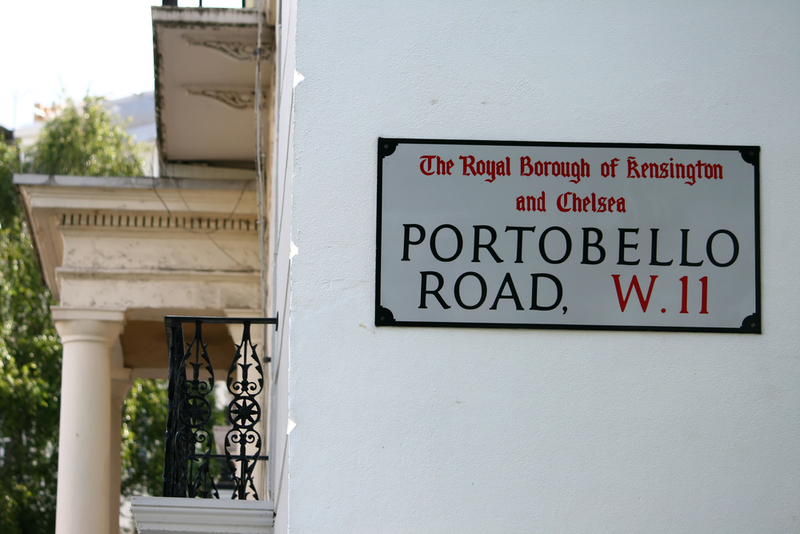 If you fancy some more shopping, then close to Paddington station is Portobello Market. Running for more than 150 years, the world-famous market boasts a whole host of stalls selling various products every Saturday market. There are also plenty of street entertainers who flock to the area to amuse the visiting shoppers. One of the most popular areas of the market is the bric-a-brac and antiques vendors – making it the perfect place to pick up a gift to take home. Overall, the market spans around two miles – so make sure you have decent walking shoes on! This may sound like an odd museum and the Museum of Brands, Packaging and Advertising is not as famous as the National History Museum or the V&A, but is a really lovely attraction. Guaranteed to bring back memories, the museum houses around 12,000 different packets, adverts and other merchandise dating covering the Victorian era to the present day. If you don’t find what you are looking for at Portobello Market, then a short distance from Paddington also lies the grade II-listed Whiteleys. This retail centre has a number of popular high-street names, including Gap, H&M, House of Fashion, JD Sports, Karen Millen, Marks & Spencer, The Body Shop and Zara. Whiteleys is open from Mondays to Saturdays from 8am to midnight and from 8.30am to midnight on Sundays. There is also plenty of food options in the centre – ideal for providing a rest break from all that shopping! The famous address is of course home to Sir Arthur Conan Doyle’s most famous invention. Although Sherlock Holmes is no longer in residence, there is still a dedicated museum to the detective at the site of his famous home at 221B Baker Street. Fans can see a whole host of items connected to the character, while there is even a replica of his study on display. With the recent success of the BBC version staring Benedict Cumberbatch, the museum has also added a few new items to reflect the latest incarnation Mr Holmes and Dr Watson. Paddington has the benefit of being very close to some of London’s most attractive green spaces. To the south, both Kensington Gardens with its magnificent palace and the impressive Hyde Park, with numerous playgrounds and the magical Winter Wonderland can be found – providing enough outdoor space for you and family to have a great picnic and relaxing time. While to the north-east of Paddington is the impressive Regent’s Park that has an open-air and is also home to the London Zoo – which is a fab day out option for those with young children. Finally, Paddington is closely located to the quaint and beautiful Little Venice. It is ideally situated by the canal. Here you can enjoy a great option of cafes, restaurants and bars. A long walk by the canal or book yourself tours on boats to enjoy London’s scenic beauty as well as have a great holiday time. Share the post "Discover the hidden joys of London Paddington."